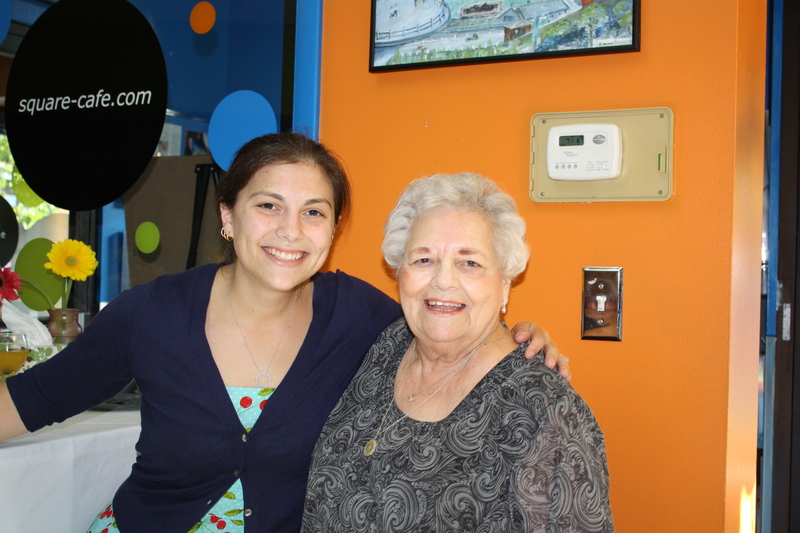 When I think of my gram, I think of one of my earliest loves: The ocean. My grandparents retired and moved to Florida the year that I was born, and so we most often saw them on our vacations to their home in Melbourne. Holding grandma’s hand on one of those earliest trips, I thought the surf crashing onto the sand was the most majestic thing I’d ever seen. And although some of what inspires us in childhood disappears, the awe of the ocean has never left me. It consumes my deepest core and most sacred place with happiness. It is where the divinity I see in the universe manifests itself most fully. It is where I find peace. I associate the ocean with an unconditional love. If I let it carry me, eventually I rolled back onto the shore. There I came to rest on the wet sand, breathlessly laughing. For hours on end, I rode the waves, tumbling and diving back in until I was so dizzy I collapsed on my beach towel. Then it was home to Grammy and Papap’s house, where they spoiled us with enormous and delicious meals, and endless hugs. To my brother and I, going there meant limitless fun: Theme parks, mini-golf, ice cream sundaes, arcades, feeding the ducks, trips to Medieval Times, movies, and even a few vain attempts at fishing. Today, it doesn’t matter what city I’m in, but whenever I’m at the ocean, Melbourne is where I am. My home away from home. I feel the water and smell the air and am overwhelmed with love. What a beautiful gift. To have the ocean air be so powerful that it heals my soul with its breath, to have the sand always feel like sturdy ground beneath my tired feet, and to know that the waves will always bring me back to shore. In the midst of my hurt that she is gone, I feel so thankful for that gift. Because it can never be taken from me, and so I know that she (and my Papap) will always be with me. 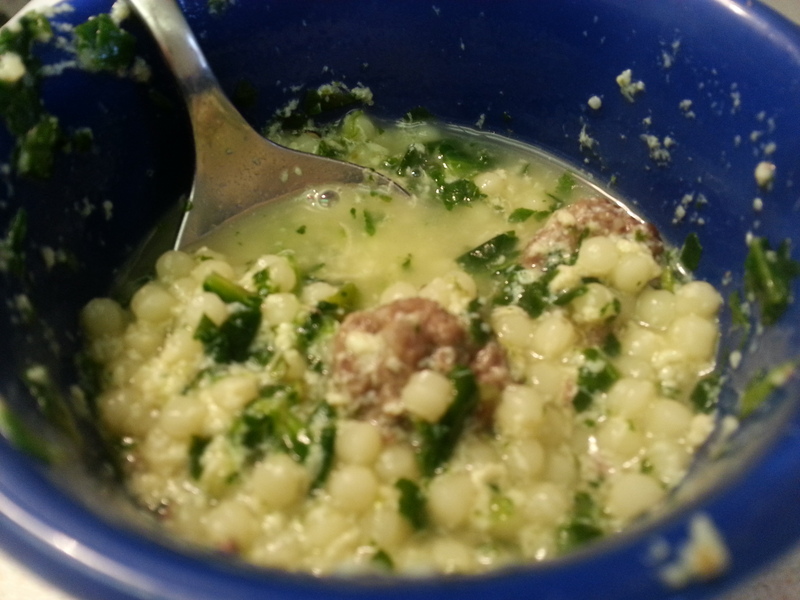 One of the things that my gram made for us on a regular basis was a soup called stracciatella, or, “rag soup.” It was one of my favorite things, and she knew it. Nearly every time I came home from college there was a quart or two of it reserved for me in my parents’ freezer. During a recent winter when I was going through a difficult time, she made me some and my mom went so far as to overnight ship it to me so I could use its healing powers as soon as possible. 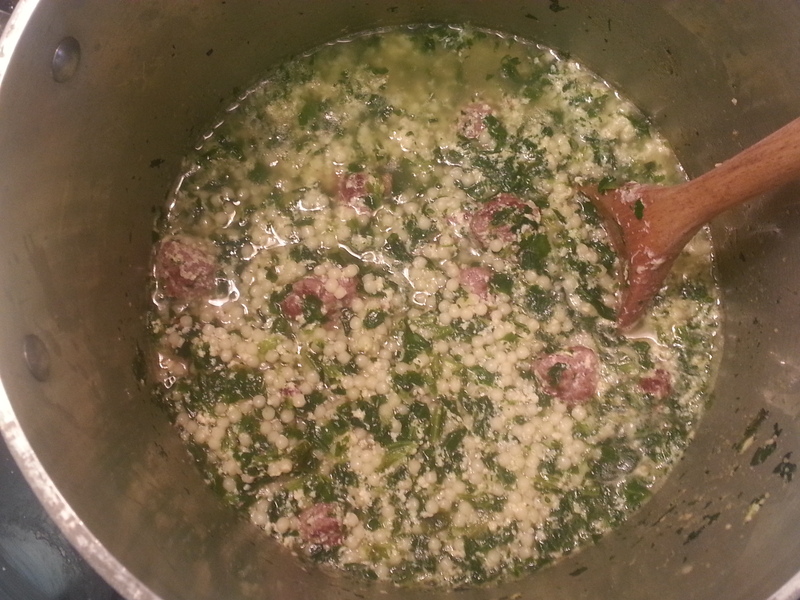 Although she omitted the spinach most of the time because my Papap didn’t like it, I re-added it when I started making stracciatella at home. For me, the idea of having the most comforting food in the world become one of the things I ate to keep my iron up made all the sense in the world. Not only did it then bring my soul peace, but it brought my body strength. 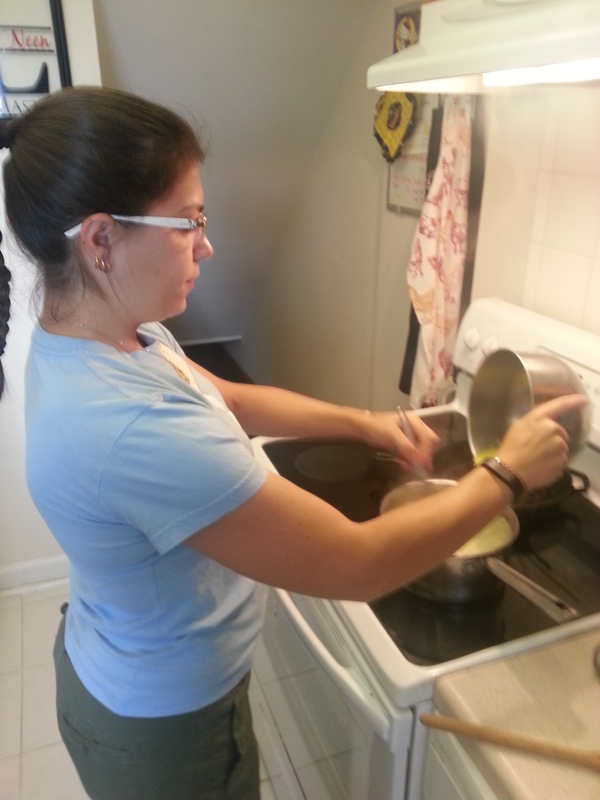 Bring half of the chicken broth to a boil in a large pot and add the pastina. 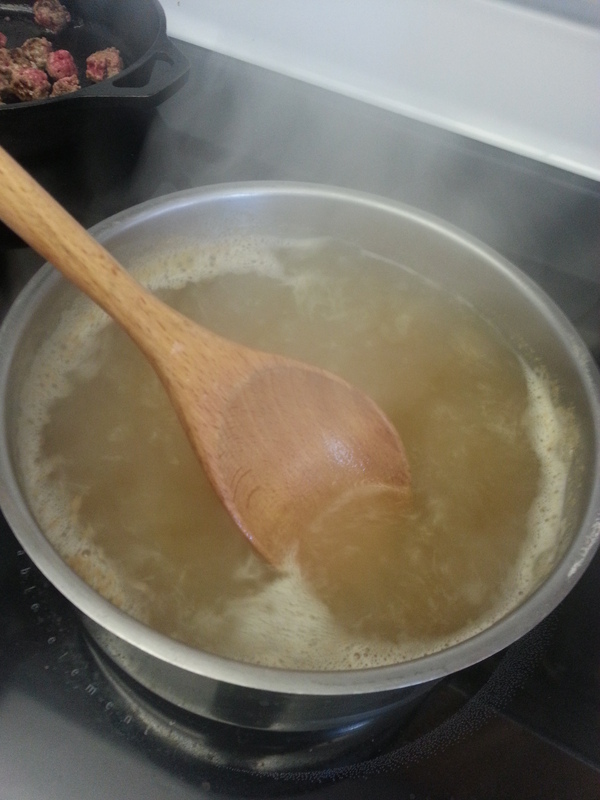 Cook at a heavy simmer for 10 minutes. 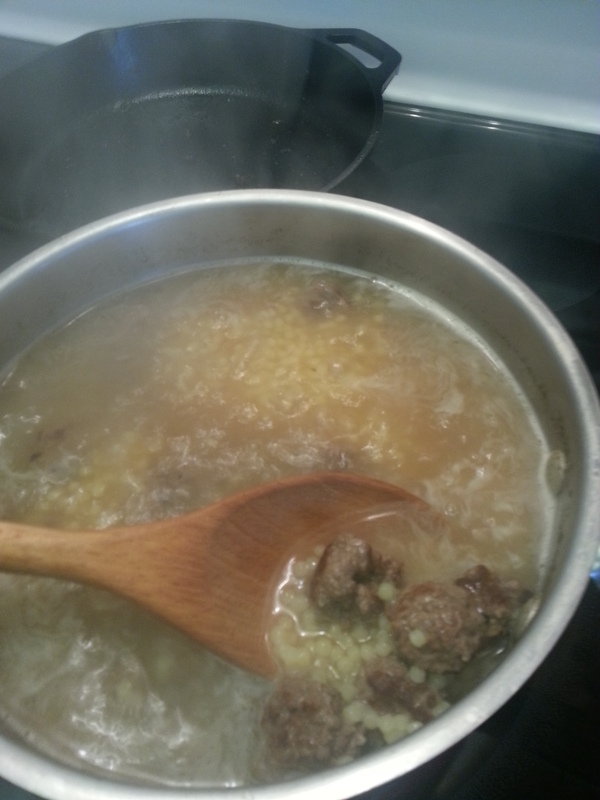 While the pastina is cooking, season the ground beef with salt and pepper and form small spoon-size meatballs. I usually make them no larger than 1/3rd oz. 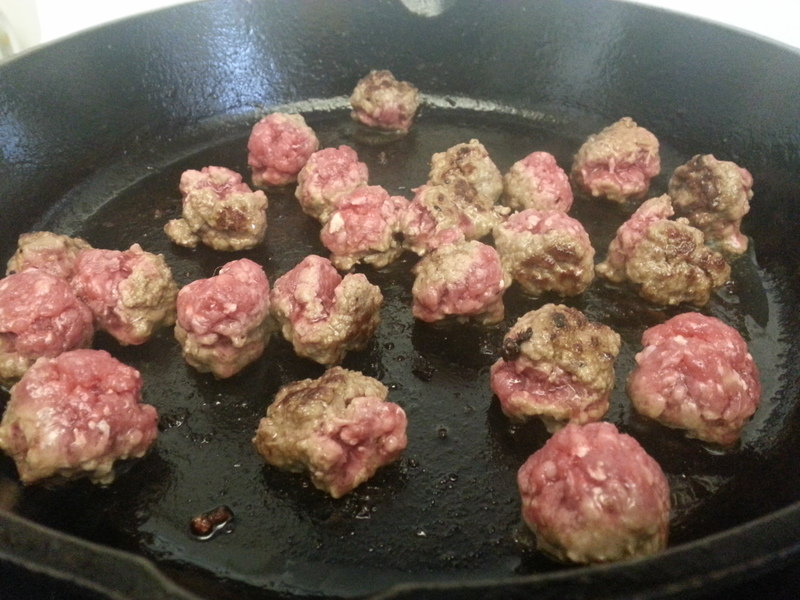 Saute the meatballs until they are browned and set aside. 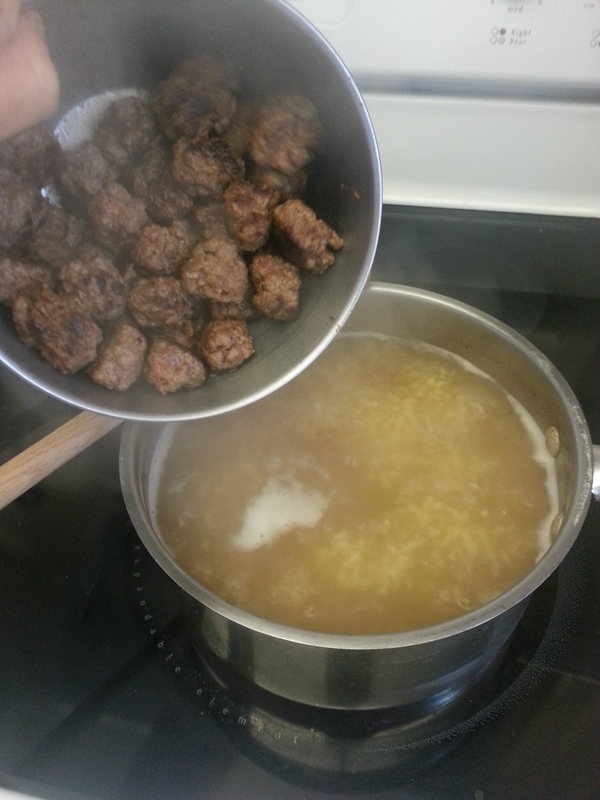 Add the meatballs and seasonings to the soup and cook for another 10 minutes. 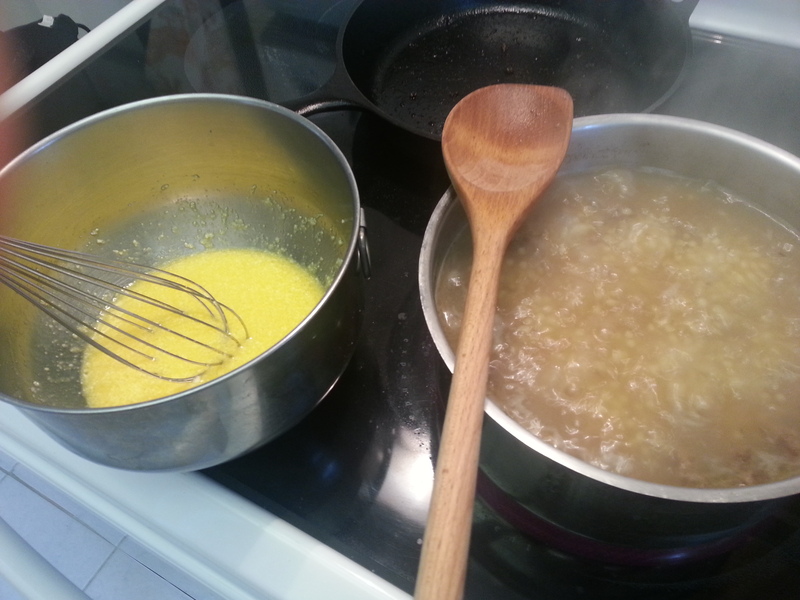 Beat together the eggs and cheese, then pour in a steady stream into the pot of soup while whisking vigorously, and whisk for a minute. 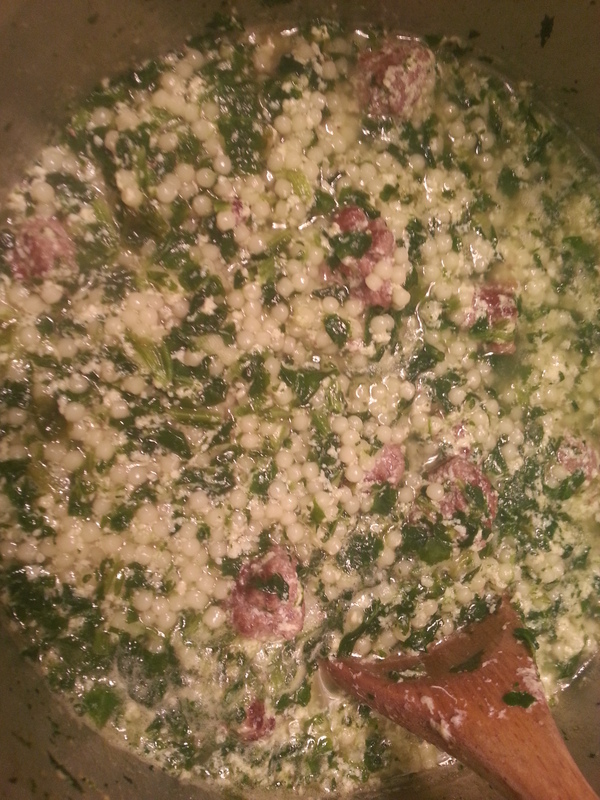 Add the chopped spinach and simmer until everything is hot. *The extra broth is used if you refrigerate / freeze and reheat the soup. 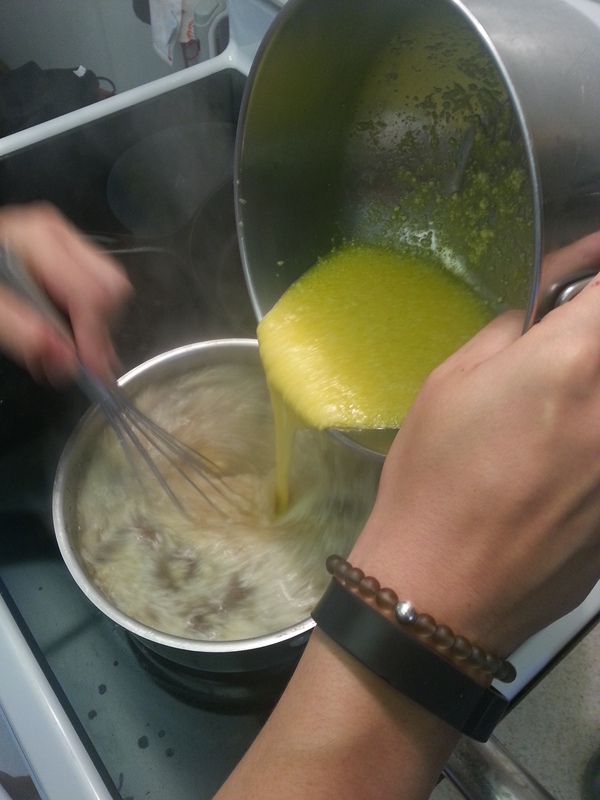 The pastina will absorb some of the liquid, so each time you reheat a portion, you’ll need to add some broth to make it soupy again. This soup is the perfect meal: Some vegetables, pasta, rich proteins, and a warm broth. It requires no side dish, freezes like a champ, and can be on the table in a half-hour. 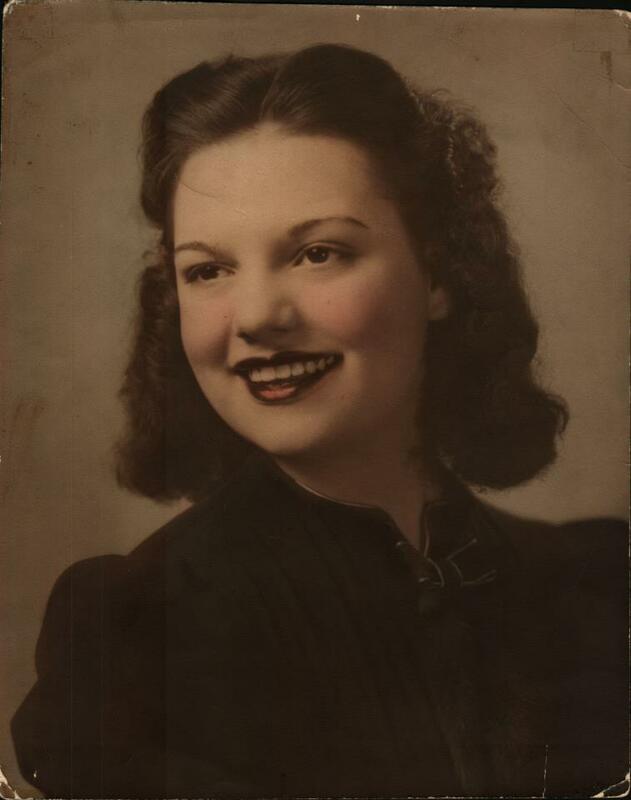 For someone like my grandma, who was always working hard, taking care of her three girls, and serving her church and community, it fit like a glove. Of all the foods I make, this is the recipe that is most transformative. The recipe that can make any day better, any bruise less painful, any hurt feeling less sharp. This is where I turn when I am floating away and cannot see the land. I make this pot of soup and yes, the tide rolls me back to the shore. I taste it, and I am home.